What an amazing city !! I was able to fly to London for a week and it was such a fun adventure. During the last few years since college, I haven't had an opportunity to travel (especially overseas). This was my first time in Europe in over 10 years ! The only thing I really had to adjust to was the weather. Even though spring was in full effect, London is cold for this LA girl. 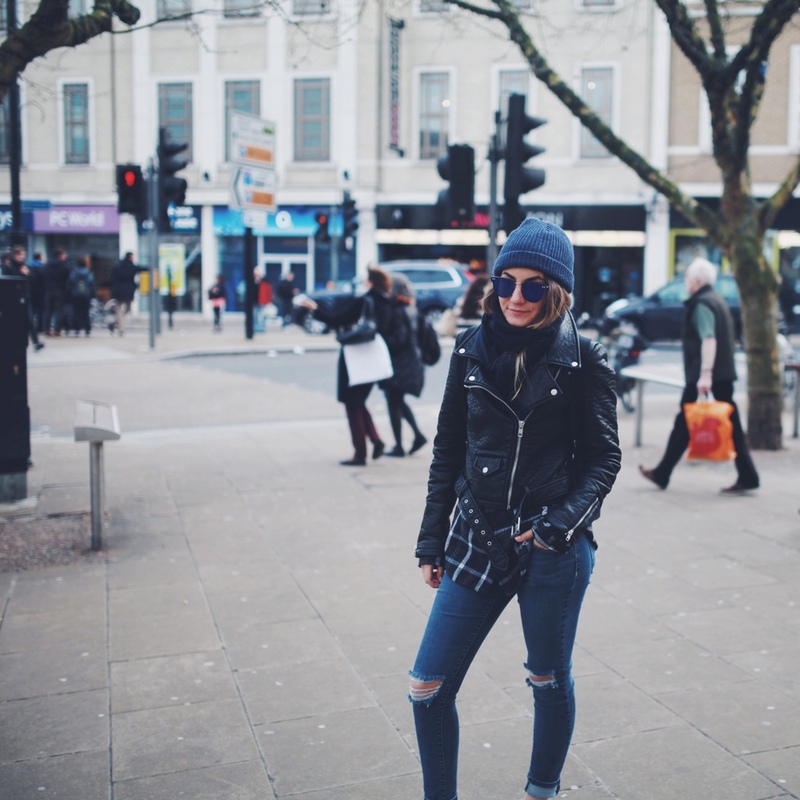 My outfits consisted leather jackets, camel coats - lots of distressed denim and boots! While in Shoreditch, we shopped in BoxPark and I found the most amazing Chelsea boots by Marco Cooc. They are my go-to boots ! Surprisingly it was also sunny most days - so my Spitfire sunnies came in handy.